We have had a fantastic few days at ExCel on the Datatag stand. The show started at lunch-time on Thursday with many attendees from the press. This was ideal for us as we were promoting our fantastic news. As from today (Monday 17th February 2014) all bikes leaving our warehouse will be fitted with the Datatag “Stealth” Pro security system. Batribike is the first electric bike brand to take the unprecedented step of offering this security on every bike in their range. The system includes UV etched identifiers that are only visible when using a simple UV torch. The bikes will also be marked with hundreds of microdots, which contain a unique number and a tamper-proof sticker, again with unique identifier and a scannable QR code. 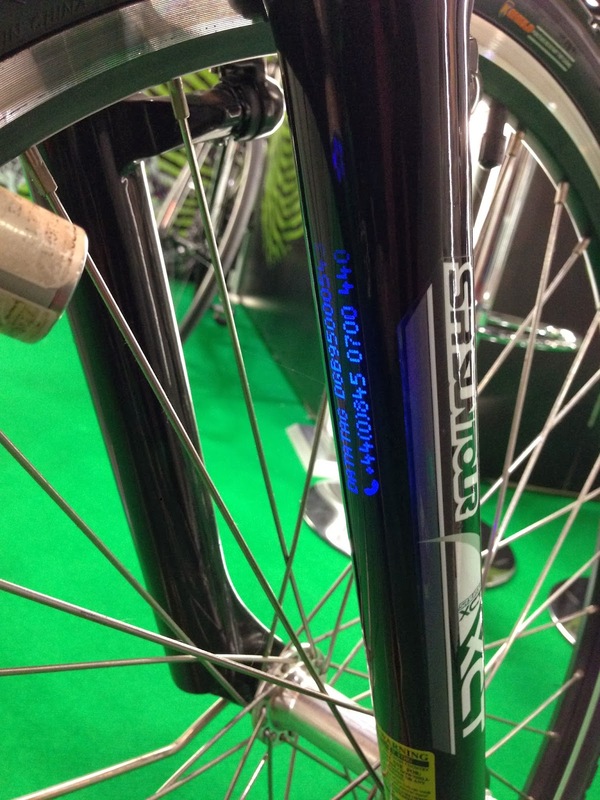 The number of visitors crowding onto the Datatag stand showed just how popular the system is with bike owners. Datatag are delighted with the partnership and have been promoting the collaboration.